Three decades of experience spanning engineering, marketing, finance and business development in the technology and services industry, has transformed Girish Gaitonde into the steadfast leader he is today. 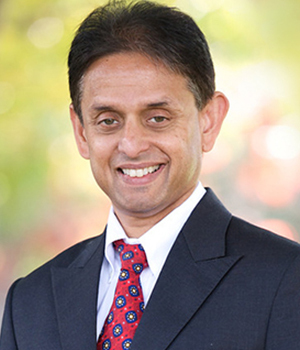 Girish is the success behind the progressive growth of Xoriant Corporation – a Silicon Valley headquartered firm. 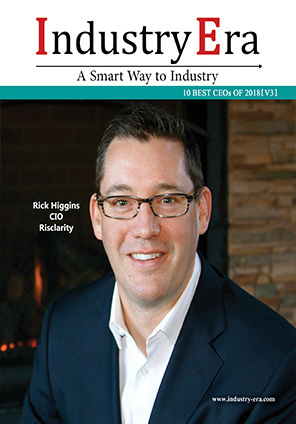 It has been his cumulative efforts of unquivering focus, strategic plan and vision, coupled with the power of workforce, expertise and technology that has led to its recognition globally.Taking the initial steps as a staffing company, the firm has grown steadily with innovative practices extending its core development and technology competencies. With ecosystem linkages in Silicon Valley, gradual investments in technology and infrastructure, the company has strengthened its global footprint as a preferred technology partner for ISVs and Enterprise customers offering end-to-end solutions, products and platforms.
" Across all practice areas, we are making significant investments in next-generation technologies and solutions to help deliver innovation to our clients. We want to become the technology partner of choice to all our clients. " Xoriant’s practices include Product Engineering, Cloud & Infrastructure, Security, Big Data & Analytics, Data Management & Governance and IoT. Across all practice areas, the company is making significant investments in next-generation technologies and solutions—including machine learning, hybrid cloud security & compliance, blockchain, IoT data gathering & processing and open source solution integration—to help deliver innovation to the clients. “With a firm belief in the value of prototyping, we work alongside our clients to ideate and build next-generation solutions based on flexible platforms that we have developed,” says Girish. Girish has always put himself in the shoes of the customer before taking any decision for the company. His customer-first mindset, taking ownership of tasks and responsibilities with the passion for technology and striving for excellence truly reflects in Xoriant’s customer track record with 90 percent repeat business. With years of experience working across enterprise customers globally, Girish has always displayed an optimistic approach while tackling challenging business situations. Xoriant has offered flexible engagement business models for its Enterprise and ISV clients ranging from start-ups to Fortune 100 companies. Girish always thinks about the customer’s growth journey and has been at the forefront of understanding their requirements while planning for their future needs by offering advisory and technology consulting. This has resulted in an outcome-focused delivery for all the clients without compromising on quality while ensuring ROI on their technological investments. In one of Xoriant’s client engagements, a leading provider of mortgage origination solutions was using a desktop-based legacy loan origination application with client-server architecture. This architecture resulted in several challenges including delays in loan information process, poor customer satisfaction and revenue loss. Xoriant re-architected the desktop application into an SOA and microservices-based SaaS platform. This accelerated the client’s mortgage processing time while reducing costs by improving collaboration and visibility across various stakeholders. Talking about growth and future roadmap, Girish plans to build new strategic partnerships, increase technological investments, create new IPs, accelerate go-to-market, while upskilling Xoriant’s talent and delivering a delightful customer experience. Xoriant aims at creating an IP Strategy with abstract technical/solution concepts and recreating the framework in generic Open source technologies for demonstration and reuse. 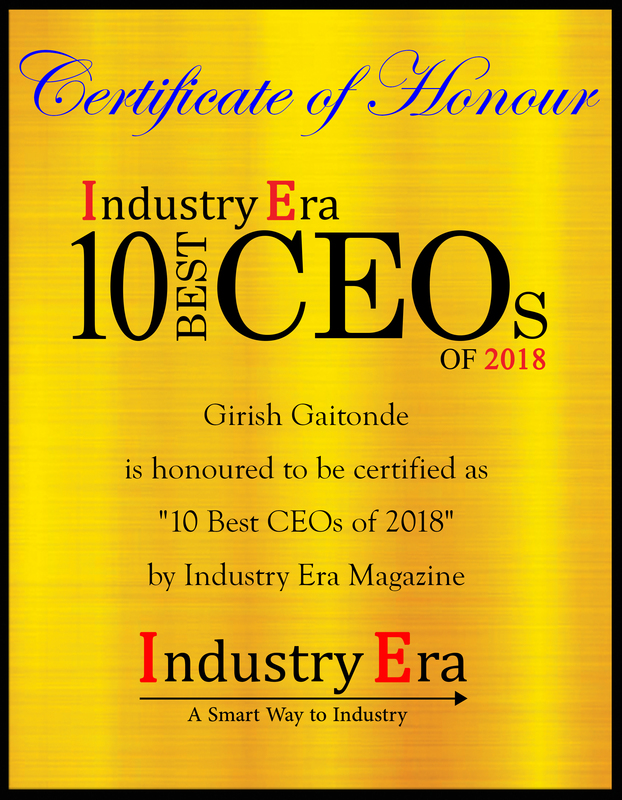 Girish aims to use innovative technologies to help clients solve complex technical problems while cross-selling high-value services to existing customers.“Across all practice areas, we are making significant investments in next-generation technologies and solutions to help deliver innovation to our clients. We want to become the technology partner of choice to all our clients,” says Girish. Xoriant is a Silicon Valley headquartered product engineering, software development and technology services firm with offices in the U.S., Europe and Asia.